Join students from around the UK and abroad for this Summer's premier tech, coding and computing camp! Explore robotics, drones, 3D printing, game design and much more! 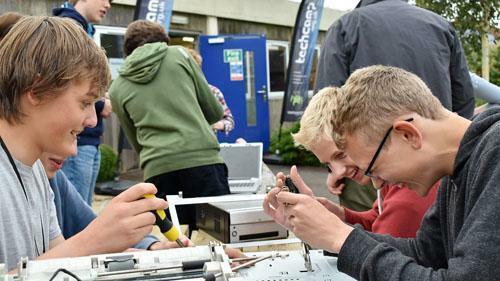 Join our residential Tech Camp for ages 9-17 at our Winchester venue, Sparsholt College. Our residential camp combines our fun tech courses with further evening activities, and the opportunity to meet like-minded students from across the UK and from abroad. Last year our students came from France, Spain, Saudi Arabia, China, Russia and more to learn and socialise together, united by a love of technology. In 2019 Tech Camp Winchester is running for 4 weeks in August, and 1 week at Easter in April. Join us for a single week-long session, or come for adjoining weeks to investigate a wider range of courses. Residential campers arrive on Sunday afternoon and leave on Friday afternoon, and all accommodation is all in single rooms with en-suite bathrooms. Daytime campers at this venue join us on Monday morning and attend the main daytime course sessions. The courses run at our residential Summer camp offer something for everyone, catering to every level of experience and many different interests, with gaming, robotics, 3D printing, 3D game design and Python amongst others! Unique to Tech Camp, all of our courses include take-home components to ensure the learning continues after the course. Our camps are run by highly-experienced managers and assistants, alongside a team of tutors passionate about technology, and hand-picked for their specialist knowledge of the courses. All campers choose one course to complete over a whole week. We always have 1 tutor for every 8 students, ensuring that we can cater to different ages and abilities on an individual basis. Our flagship Winchester venue is the Wessex Conference Centre, located on the site of Sparsholt College which is set in over 450 acres of beautiful Hampshire countryside. It offers great facilities including large computer rooms, workshop space, open campus grounds for lunchtime activities, and excellent catering. Day campers have lunch included at this venue and for residential campers all meals are provided. For more information on the venue please see their website, www.sparsholt.ac.uk. On a normal day campers will wake around 8:00am, followed by breakfast, before being joined by the daytime campers at 9:00am, ready to start sessions for 9:30am. Typically there are four sessions with two breaks and an hour-long lunch break, with the daytime courses finishing at 5:30pm. 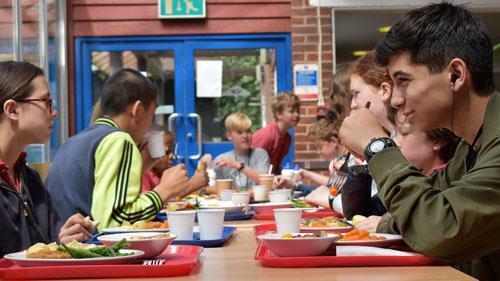 Residential campers then have dinner and take part in a wide range of our exciting evening activities, before having some relaxation time before bed. For those campers staying for two weeks there is a separate "Bridging Weekend" option available for £350, which covers food, accommodation and activities from Friday night until Sunday afternoon (when they will be joined by the new campers). We will have a variety of activities over the weekend, including gaming sessions, laser tag, a movie night, and an off campus trip. For international campers we can also help organise an airport transfer service and for London campers we offer escorted travel to/from London Waterloo station.